When my book was accepted for publication by Inkspell Publishing, they suggested I have my work officially copyrighted with the government. I hadn’t realized this was even necessary until this publishing foray, but apparently it protects me with a bit more oopmh than a standard copyright notice in the book when it comes out. 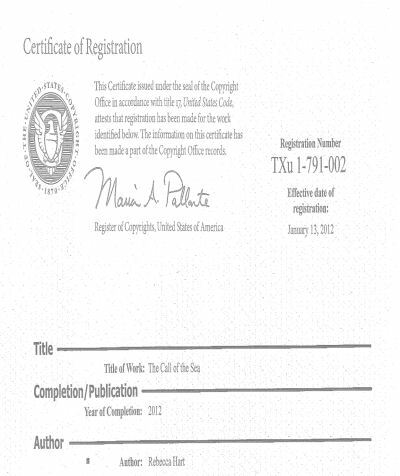 Anyway, I must squee, share and wiggle, because the official copyright arrived in yesterday’s mail. Isn’t it just so purty? I think this just might make it official… My novel is going to be published!! If you don’t already follow it, you should. I will say that my alter ego writes erotica, and while I always make sure all images I post are at worst PG-13, some of the content may be unsuitable for those under the age of 18. If you are over 18, stop by!